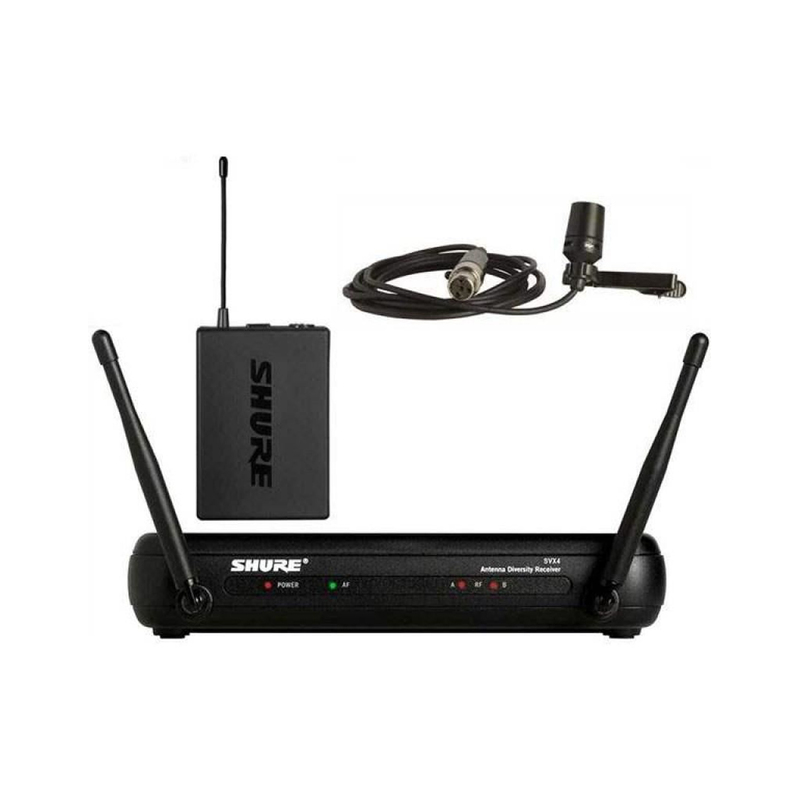 SVX Wireless Systems deliver the quality of Shure wireless performance for virtually any application. From vocal performance to fitness instruction, presentations to karaoke, SVX Wireless will provide years of reliable use. No other wireless system combines the same level of quality and ease of setup in a single package. Includes SVX4 Single Diversity Receiver, SVX1 Bodypack Transmitter with CVL Lavalier Mic.